Generating and analyzing data that summarize dietary intake and its association with disease are valuable tasks in treating disease and developing disease prevention strategies. Well-founded medical nutrition therapies can minimize disease development and related complications. Providing scientifically sound, creative, and effective nutrition interventions is both challenging and rewarding. Two new chapters on metabolomics and translational research, which have come to be used in nutrition research in recent years. The new areas of study are discussed with the perspective that the application of the scientific method is by definition an evolutionary process. A new chapter on Genetics and Diabetes which reviews the latest research on causal genetic variants and biological mechanisms responsible for the disease, and explores potential interactions with environmental factors such as diet and lifestyle. Includes all major "omics" – the exposome, metabolomics, genomics, and the gut microbiome. Linda Delahanty, MS, RDN, LD is Chief Dietitian and Director of Nutrition and Behavioral Research at Massachusetts General Hospital’s Diabetes Center and Assistant Professor of Medicine at Harvard Medical School. She is a nationally recognized authority on nutrition and lifestyle interventions for the treatment of diabetes and obesity. 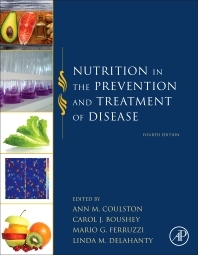 She was a recipient of the National Award for Excellence in the Practice of Dietetics Research and the Medallion Award for lifetime achievement in the dietetics profession from the Academy of Nutrition and Dietetics and received the American Diabetes Association’s Outstanding Educator in Diabetes Award in 2015. She was chair of the Dietitians Committee for the landmark Diabetes Control and Complications Trial and was one of the architects of the lifestyle interventions for the Diabetes Control and Complications Trial, the Diabetes Prevention Program, Look AHEAD and the TODAY study. Ms Delahanty has been a co-investigator in four NIH-funded multi-center clinical trials and is currently one of the Principal Investigators for the NIH-funded REAL HEALTH Diabetes study to translate the Look AHEAD lifestyle intervention into primary care.